2017 is off to a mixed start. 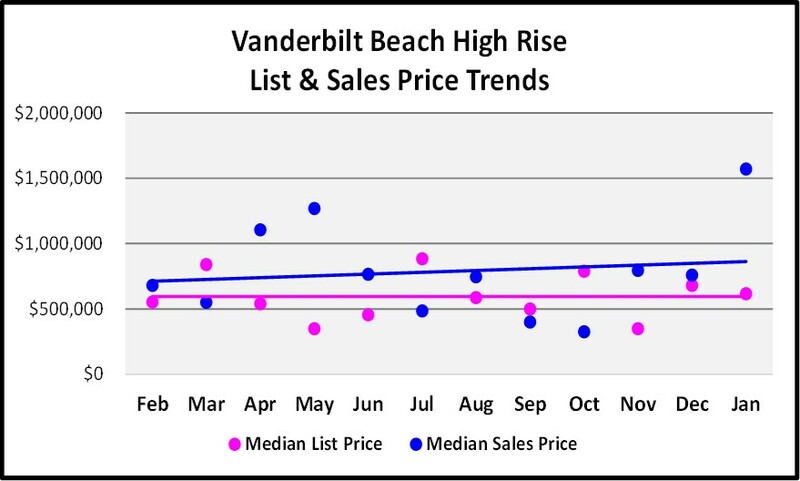 Unit sales and the number of homes on the market were up while prices were mixed. 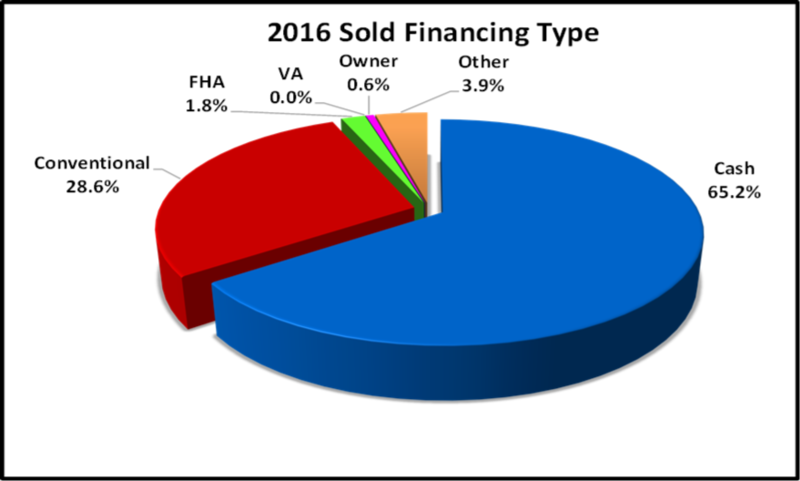 628 homes were sold in January which was 1.5% or nine more than January of last year. While this is not a large increase, it the first one since September of last year. 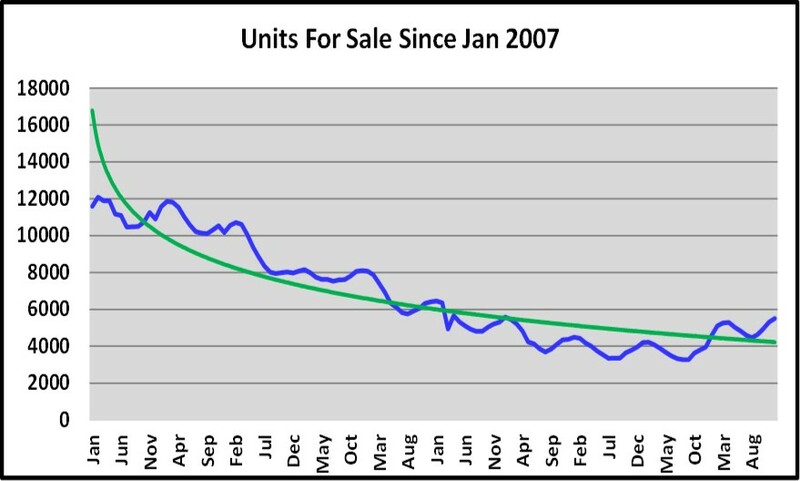 In January, the number of homes for sale increased to 6,480 units which represents a 10.3 month supply. 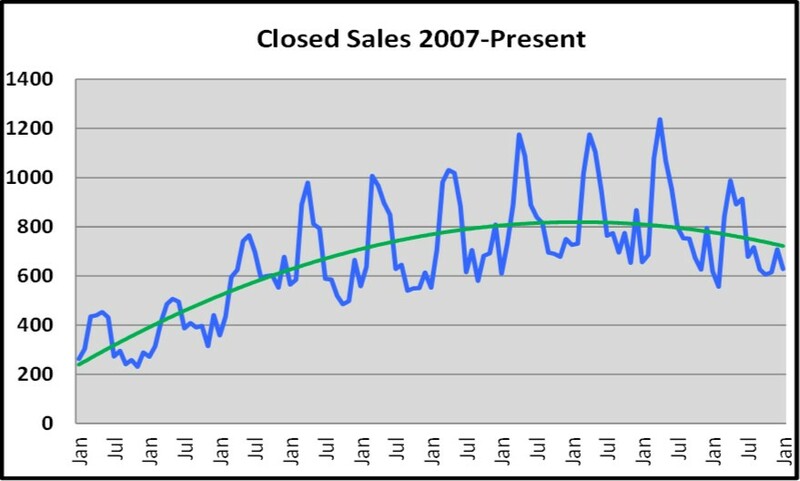 Anything above the five to six month range is generally considered a buyer’s market whereas anything in the five and below month range is considered a seller’s market. 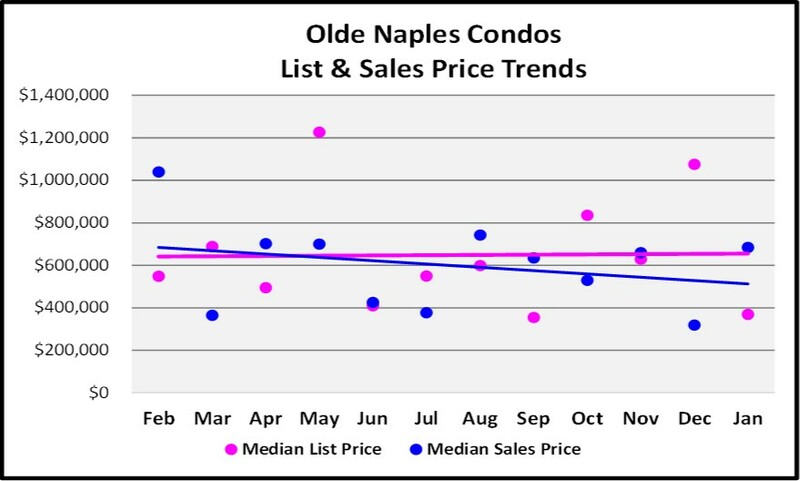 This is not all bad as many buyers left Naples disillusioned in 2015 when they were unable to find a home they liked when the Months of Supply ran in the three to six month range. This also means that sellers are going to have to be more willing to negotiate as buyers can easily move on to their second choice. 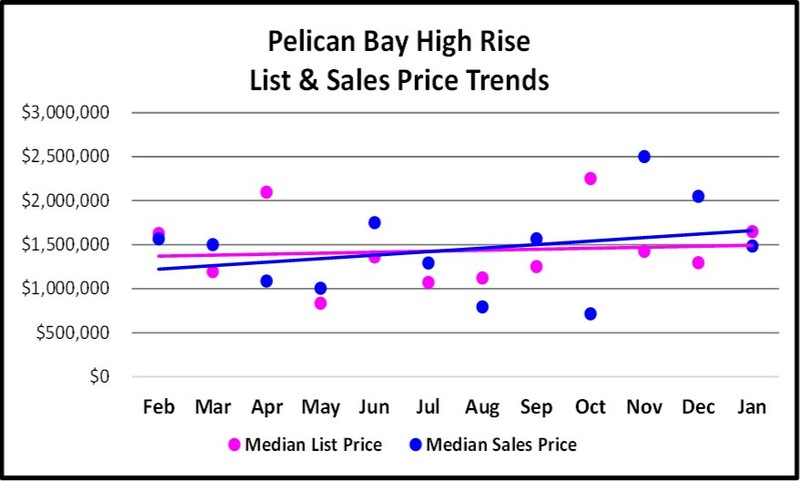 In January, the average sales price was up 1.7% at $572,391 while the median sales price was down 9.2% at $317,000 from January of last year. 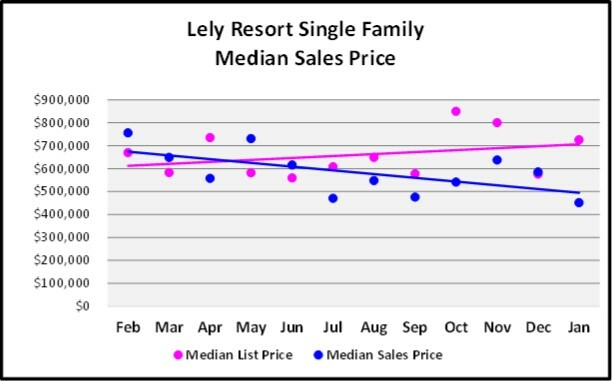 This may appear as a large decrease but if you exclude December, you have to go back to May to find higher prices. 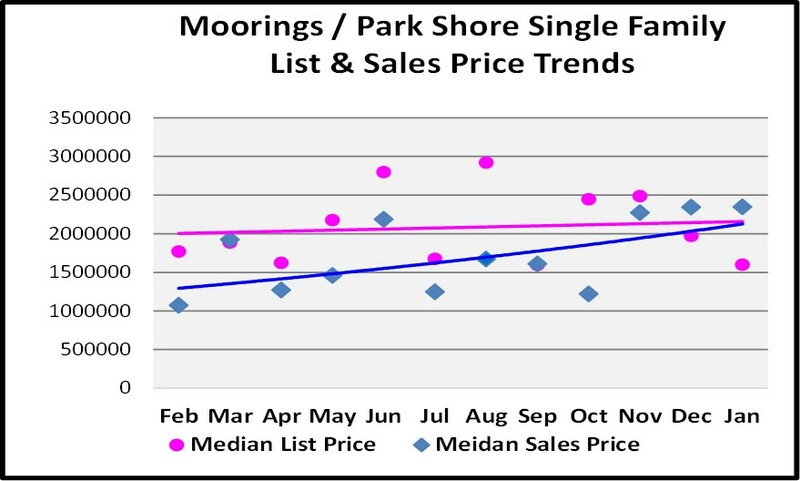 A better picture begins to immerge when we look at sales by price range and housing type. 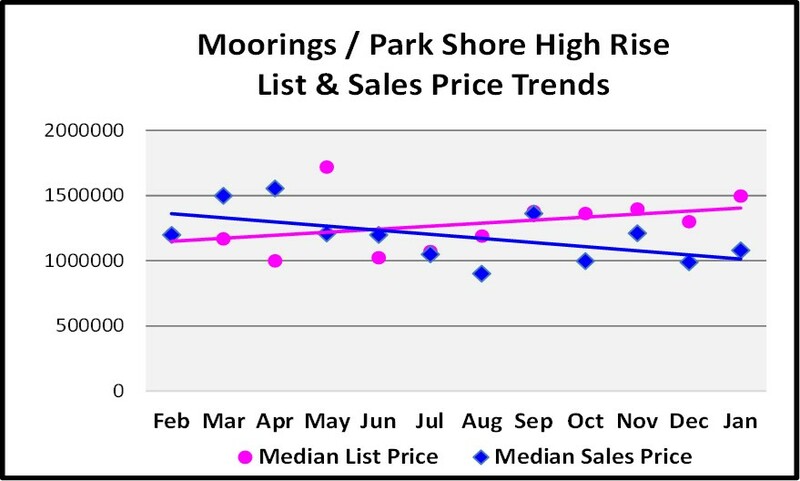 This is much more positive with 40 out of the 60 categories showing gains and sales prices constantly up from six months ago. 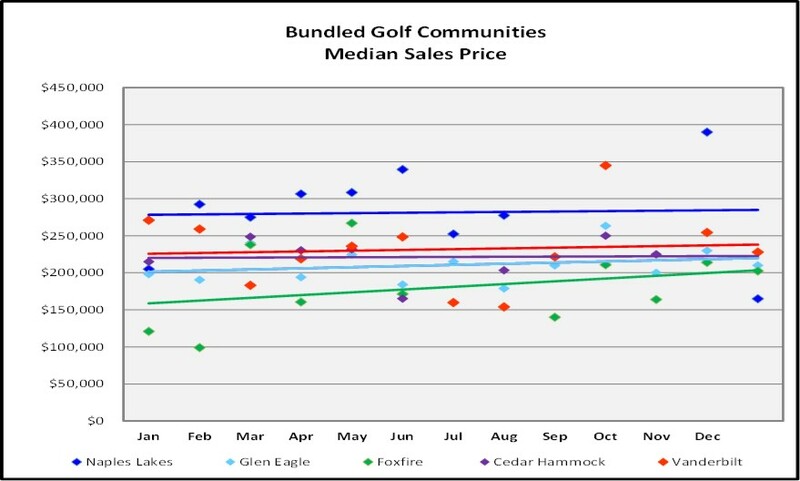 It is not safe to assume that the prices for individual communities are showing the same trends, as prices are very community driven. 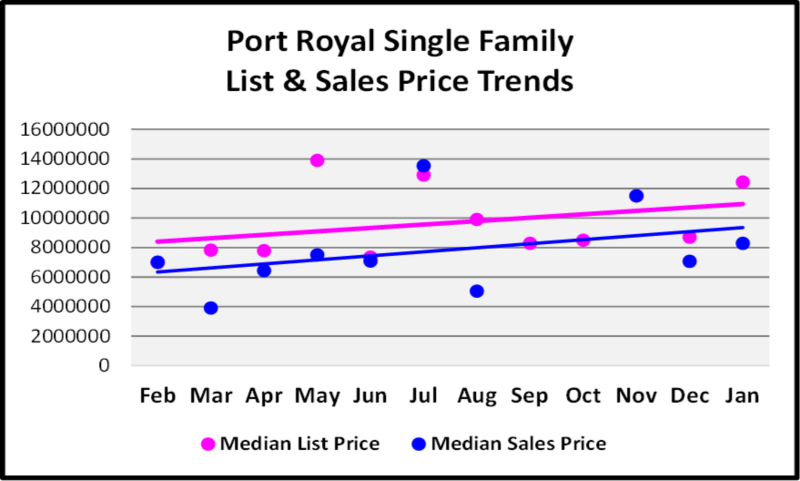 Following are the twelve month Median List and Sale Price trends for specific property types in a number of selected communities. Again we see a much more positive picture. However, even these can be misleading as they do not reflect condition, upgrades, location, view, etc. The best way to determine what your home is worth is to get a Comparative Market Analysis from a professional Realtor. 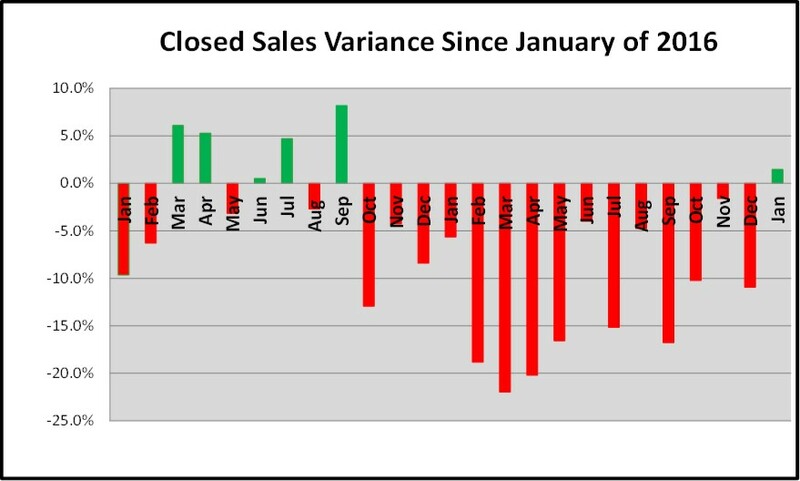 Not as positive are Months of Inventory and Days on Market. 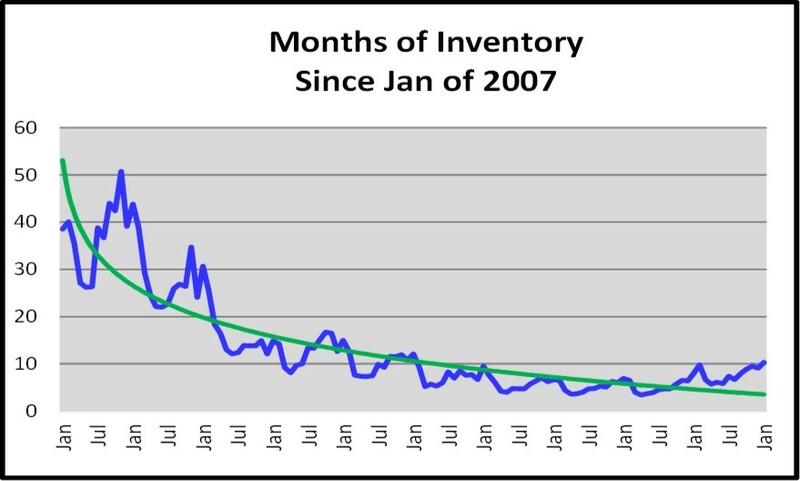 At 10.3 months one has to go back to January of 2012 to find a higher Supply. 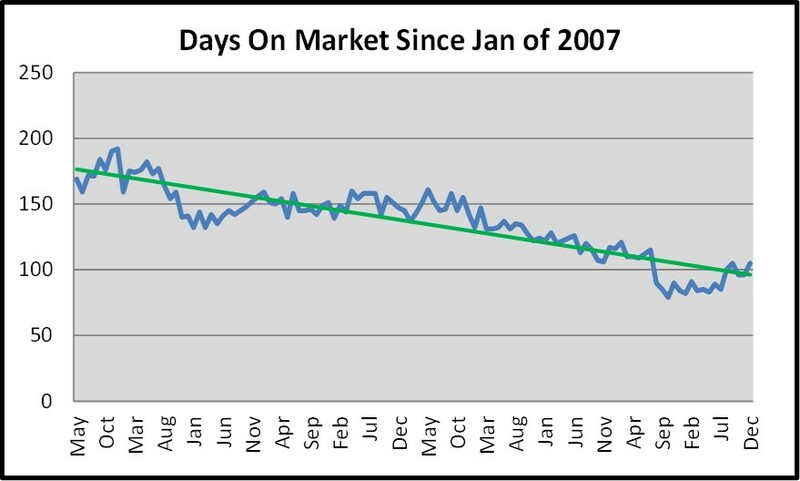 The number of days a home is on the market is not quite as bad as you only have to go back to July of 2015. 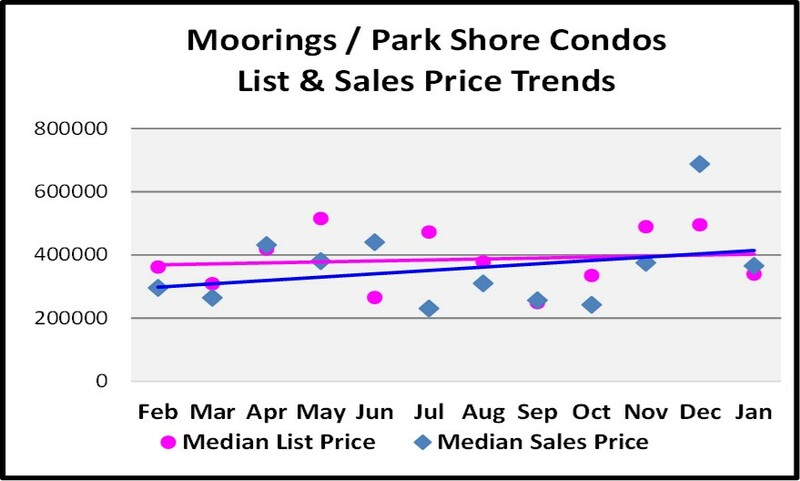 It is also interesting to note that sellers have been holding firm as to prices and still expect to see positive appreciation. 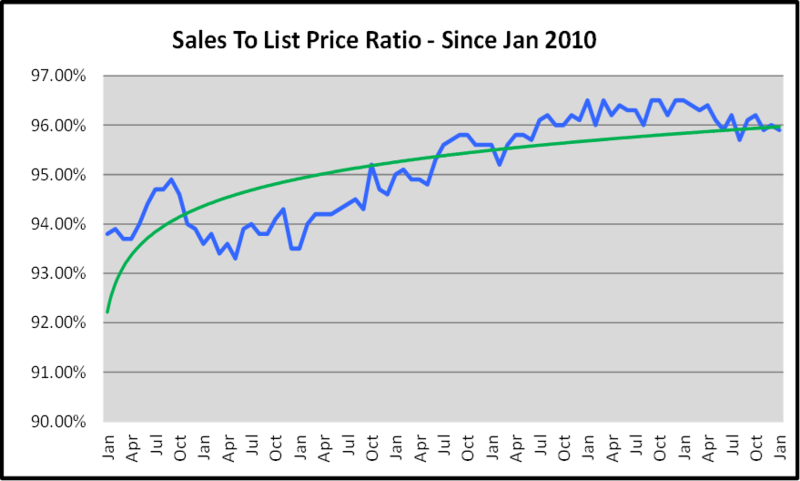 On a more positive note, the Sales to List Price Ratio continues to hover in the 96% range which is a strong market indication. At the same time the number of buyers paying cash increased to 65.2% which is the first time it has been above 60% since 2015. 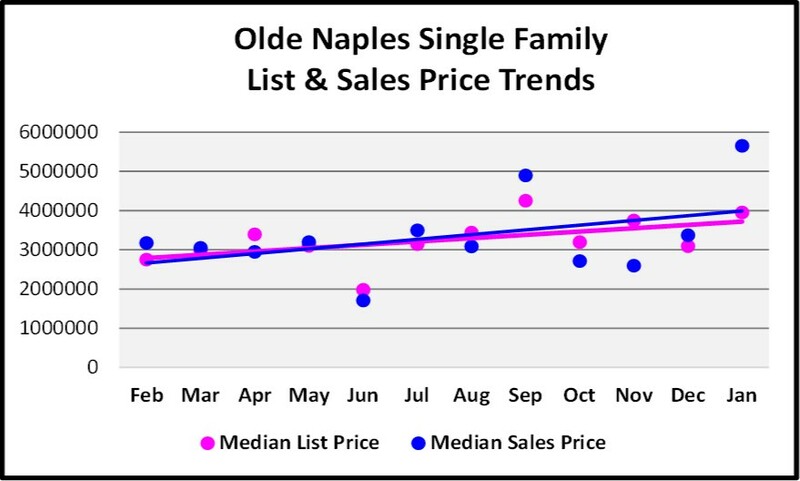 Although anecdotal in nature, the feeling amongst Naples’ Relators is that the market slowed down in January. Hopefully this is only a lull and will change as we get into the heart of the season. As always the question is “What does this mean for the future?”. Normally I would be bullish given the upswing in the stock market and the promise of lower corporate taxes both of which bode well for the economy and the creation of jobs. However the viciousness of the political climate makes me cautiously optimistic as many buyers are scared and holding back for the time being. 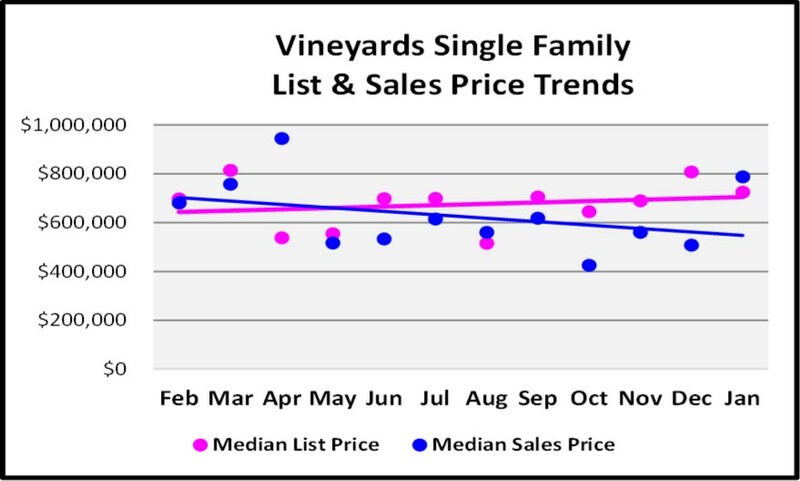 At this point I don’t see any dramatic increase in sales but sill feel we will see price increases in the 5% to 10% range for the year. In summary, if you are looking to buy, do it now. 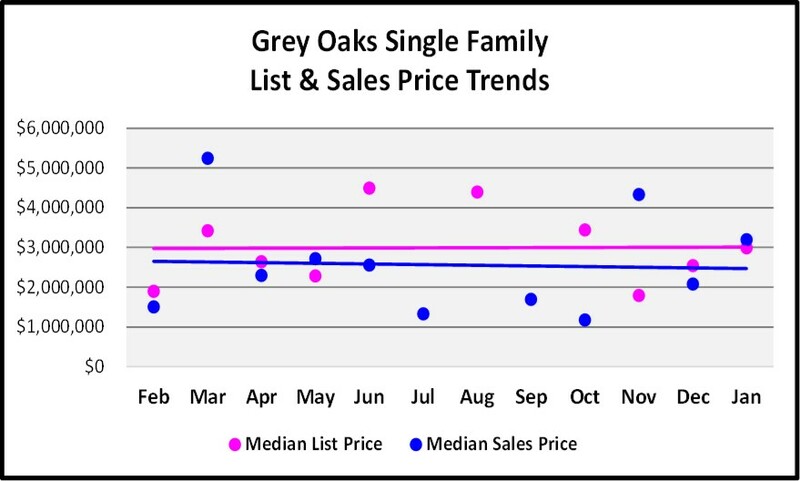 Prices will only go up, mortgage rates are forecasted to increase and you have a nice selection to choose from. If you are looking to sell, be patient. 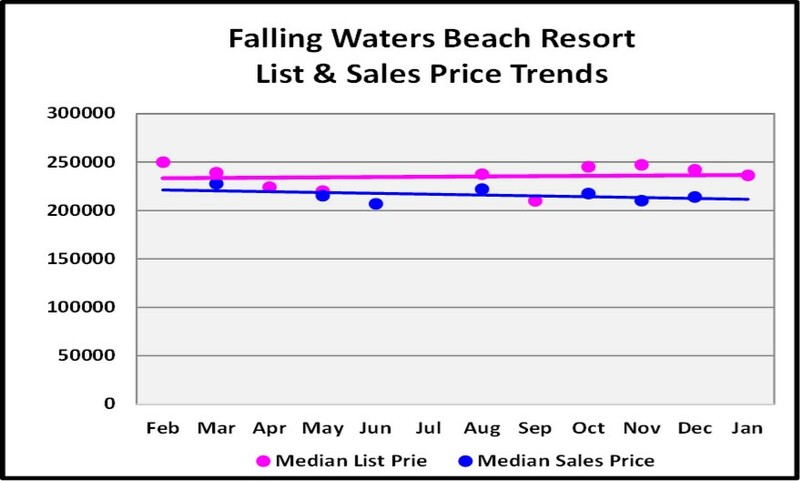 The market is still soft and it may take longer to sell your home, but it will if priced correctly! I hope the above has been helpful and informative. If I can be of any assistance, please let me know. P.S. 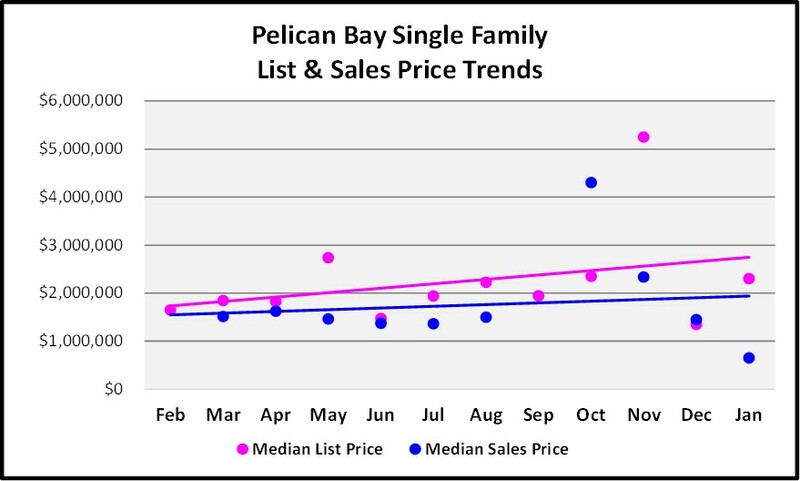 If you are thinking of putting your home on the market and would like a no obligation Comparative Market Analysis, please let me know. I would love the opportunity to earn your business. 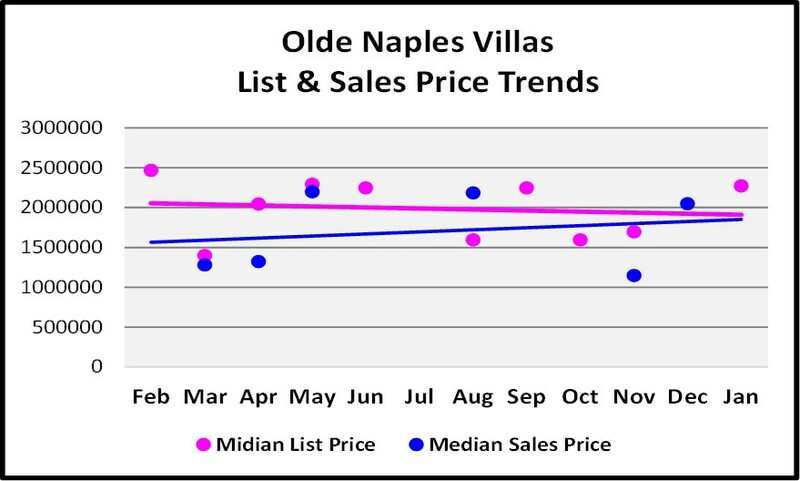 If you know of anybody who is looking to buy or sell, feel free to share my February Naples Real Estate Market Report with them. The opinions are those of the author and should not be considered to be a specific recommendation. They along with the data are presented to help you make an informed decision. 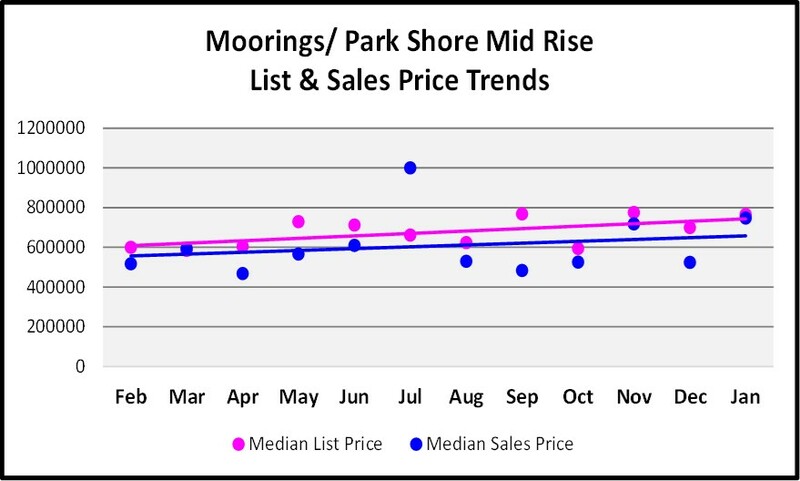 The source of the data is the Sunshine MLS and Naples Board of Realtors.